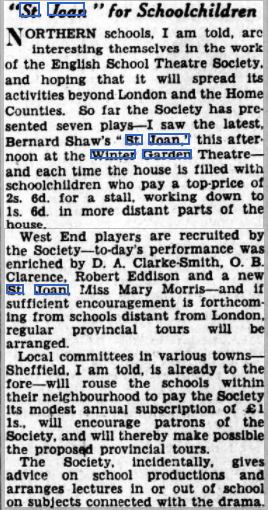 Charles Mortimer played La Hire in "St Joan" at the Winter Gardens, on 20 and 23 February, 1939. From The Daily Gazette for Middlesbrough - Tuesday 14 February 1939. 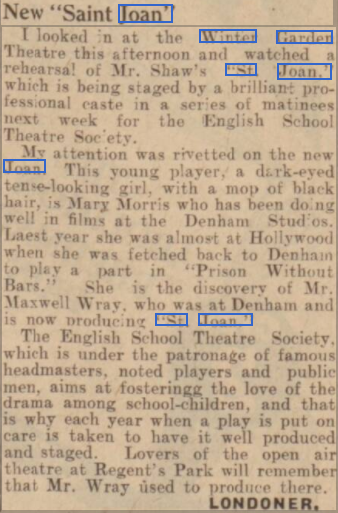 From The Yorkshire Post and Leeds Intelligencer - Tuesday 21 February 1939.